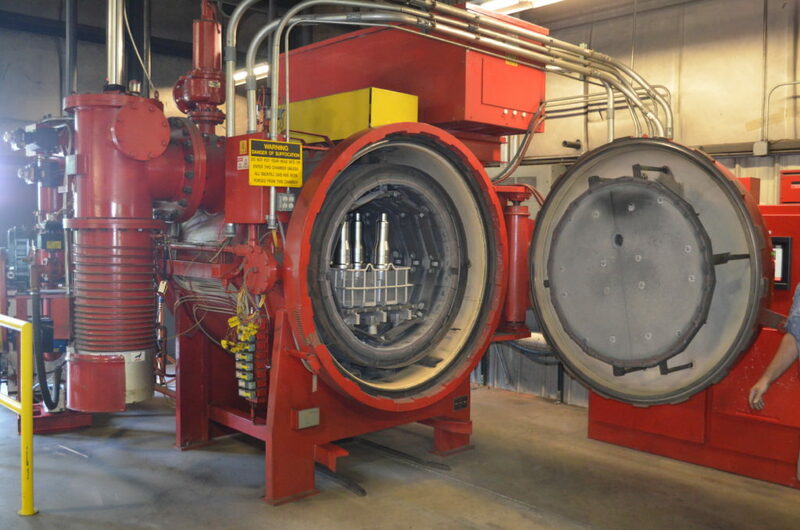 American Metal Treating’s line of vacuum furnaces includes a pair of Abar Ipsen “Turbo Treaters.” These specialized furnaces incorporate extremely fast initial quench rates with arrested cooling options. The 200 horsepower variable speed, turbine cooling system is designed to reduce thermal gradients prior to computer programmed latter-stage cooling rates. This enables AMT to secure microstuructures necessary for optimizing physical properties while maintaining crucial dimensional stability. 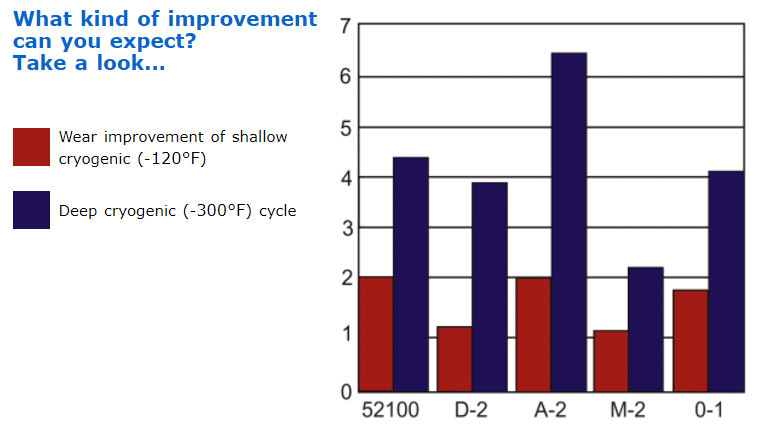 AMT can continually provide the microstructure and hardness requirements on a wide variety of steels, including hard-to-handle grades such as CPM10V, T15, and H13 while minimizing heat treat distortion. 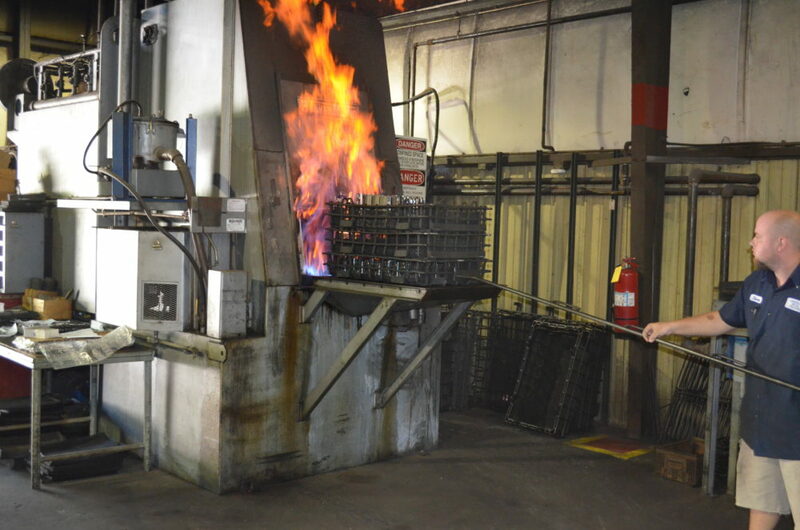 Discerning manufacturers throughout the country, from tool, die and mold makers to the aerospace, nuclear and firearms industries, depend on American Heat Treating to deliver reproducible physical properties along with consistent microstructure. Fully programmable process cycles with state-of-the-art atmosphere and temperature controls combined with innovative fixturing techniques and “no compromise” load matching criteria enables American Metal Treating to far exceed typical quality expectations associated with integral quench processing. AMT can handle everything from large volume production jobs to highly critical piece work with our complete line of IQ furnaces. Carburizing is the addition of carbon to the surface of low-carbon steels at temperatures generally between 1560°F and 1740°F. Hardening is achieved when a high carbon martensitic case with good wear and fatigue resistance is superimposed on a tough, low-carbon steel core. 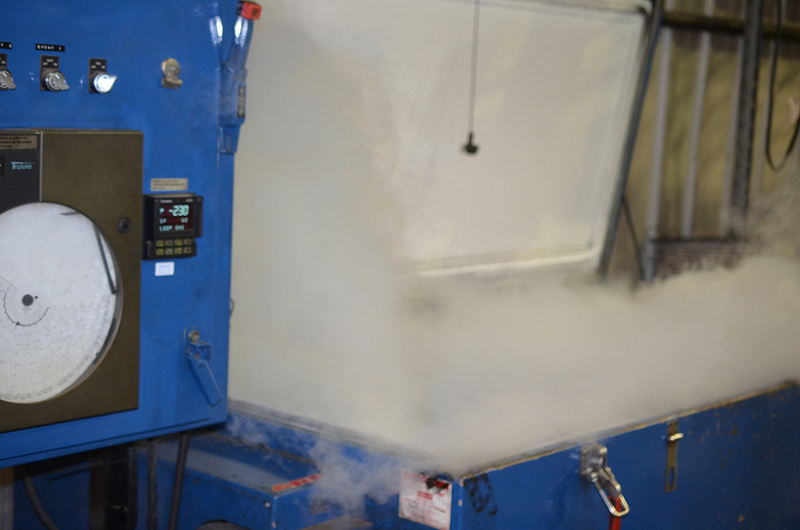 Minus 300°F cryo-processing allows AMT to offer customers improved performance and increased life of metal tools and parts. Conventional deep-freeze methods reach only minus 120°F. Our superior cryo-processing takes metals beyond deep freeze to cryogenic levels…transforming soft retained austenite to hard martensite. This creates a significantly denser molecular structure. The computer controlled ramps virtually eliminate thermal shock. 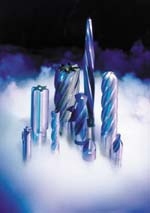 Specify “Deep-Cryo” after conventional hardening for greater wear resistance and durability. 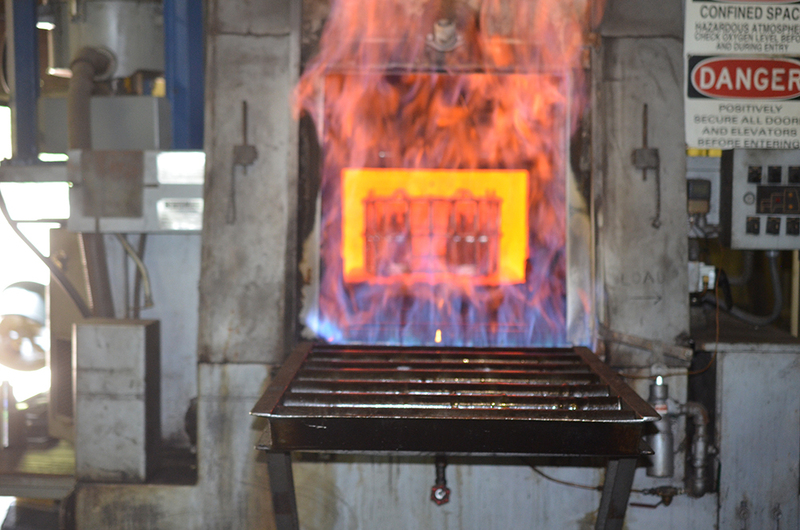 Nitro-Wear is the only patented process for ferritic nitro-carburizing in fluid bed furnaces. The tough, file-hard, wear and corrosion resistant surfaces produced on ferrous metals with the Nitro-Wear process has superior surface hardness and better finish than Tufftriding and can often replace treatments such as Nitemper, Triniding, Ion and Titanium Nitriding. By combining state-of-the-art fixturing techniques with special furnace capabilities and “no-compromise” load matching, AMT surpasses customers’ expectations for quality in integral/oil quench processing. 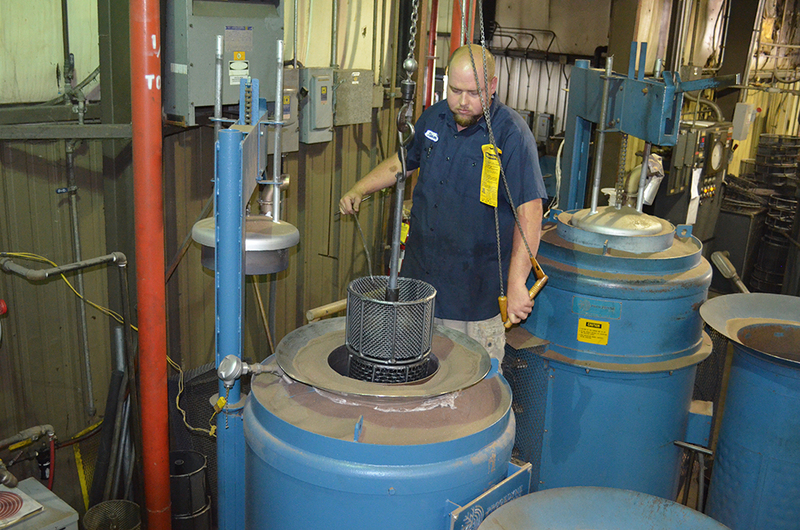 AMT can handle everything from large-volume production jobs to highly critical single items.